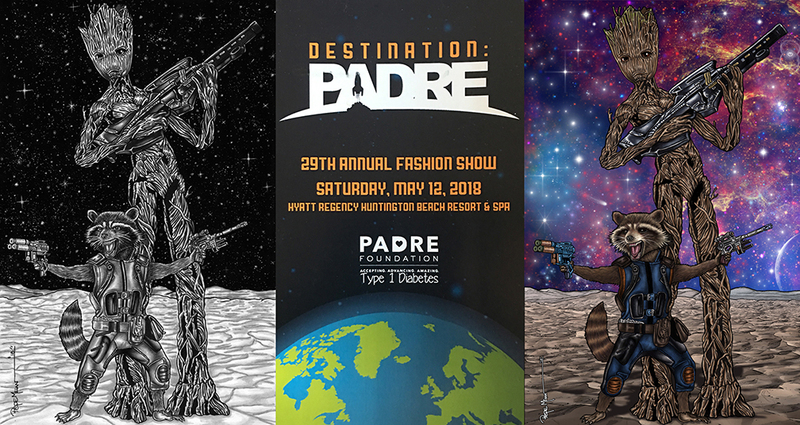 Today you have a chance to win my Rocket Raccoon & Teenage Groot original art and help PADRE Foundation (Pediatric-Adolescent Diabetes Research and Education) plays a critical role in the eduction and support of children with diabetes and their families. Please share with your friends and family! Thanks for your all your support with this awesome cause and charity auction! !